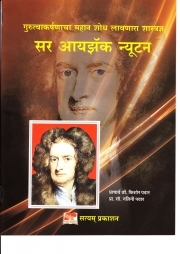 Description of "Sir Isaac Newton (eBook)"
It is an autobiography of Sir Isaac Newton, who had discovered the “Law of Gravitational force”. He had also given the gift of three important “Laws of Motion” to the world. He did not receive the love of his parents in childhood. He studied in Cambridge and also invented “Calculus”. Another important discovery of Newton is light is made up of seven color, when passed through prism. He wrote the book “Principia Mathematica”. Reviews of "Sir Isaac Newton (eBook)"